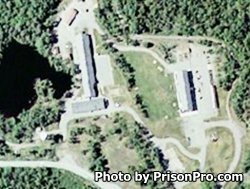 Moriah Shock Incarceration Correctional Facility is located in Mineville New York, part of Essex County. It is a minimum security prison that houses male offenders. The capacity of this facility is approximately 300 inmates. Shock Incarceration facilities are based on a boot-camp like program that implements a strict regiment of intensive incarceration, this is meant to shock the inmate into making major life changes, therefore altering their behavior. Usually the program is an alternative to normal incarceration for non-violent offenders, and reduces the inmates sentence to a much shorter term. Moriah Shock Incarceration Correctional Facility does not offer any vocational training due to the short term offenders are incarcerated. Literacy programs are available to help inmates learn to read, and offenders can also receive substance abuse treatment services. Visiting is on Sundays from 9am-3pm. Inmates are allowed a single visit every other Sunday. Three adults and two children who are small enough to sit on a lap can attend a visiting session.